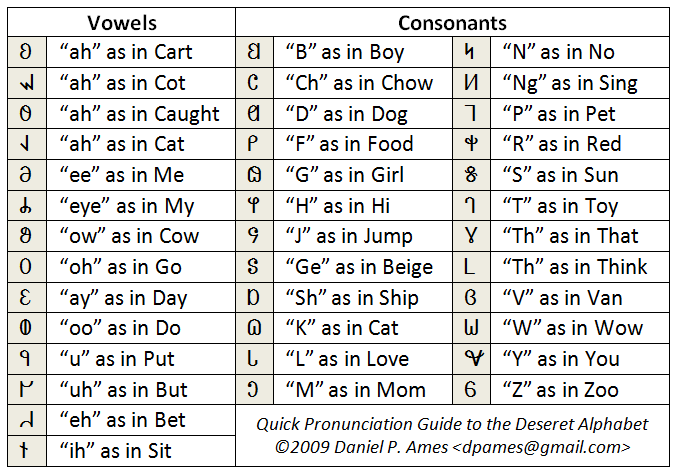 I think you're on to something here that makes the difference in people staying long enough with the Deseret Alphabet that they might actually be able to pick it up, use it, and become fluent in reading AND writing it. Nicely done! I'd be anxious to hear how it is used in the MakeUtahHistoryFun.com group and their reactions to it. You can find the latter half of 1859 entries in the Church Historian's Journal online at LDS.org entered partially or completely in D.A. June 22 is a fascinating one because of the regular writing as the last line of the page announcing the plague of crickets.